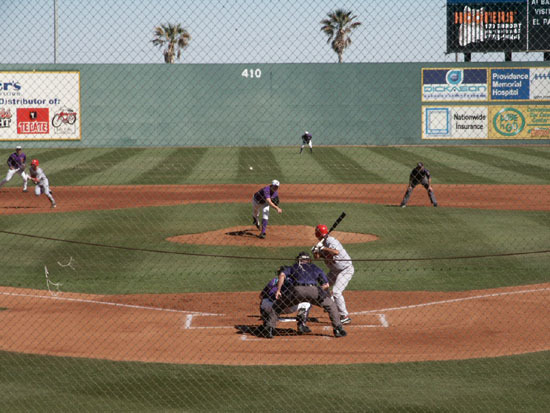 The El Paso Diablos, a AA affiliate of the Arizona Diamondbacks, play at Cohen Field. 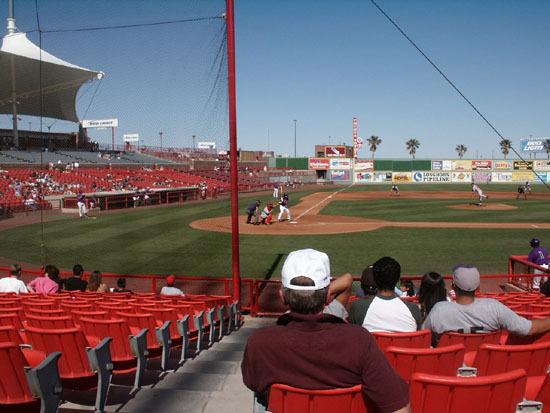 The stadium was built in 1990. 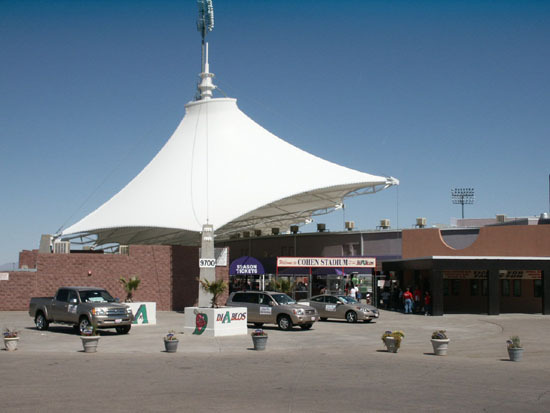 It has an interesting awning covering over the 3rd baseline concessions. 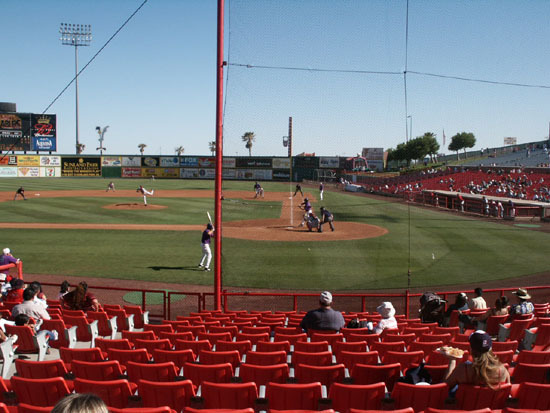 The Diablos were playing the Arkansas Travelers (Little Rock) and continued their day game losing streak, getting trounced 17-1. 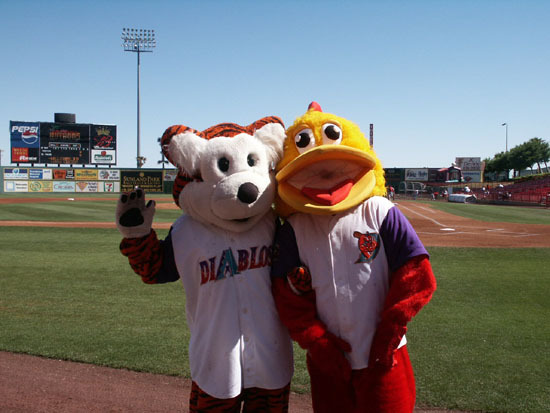 The previous evening the Diablos romped over the Travelers 16-5. 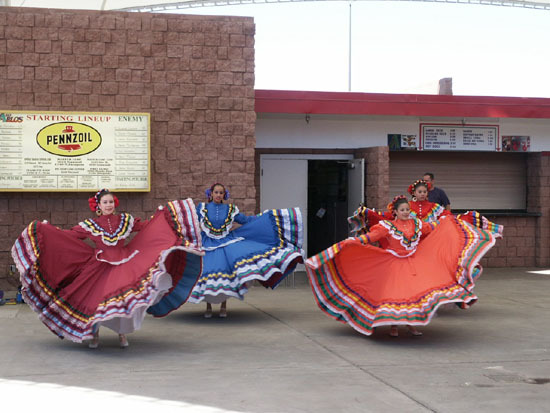 Today's box score was Travelers R-17, H-25, E-1 and Diablos R-1, H-9, E-1. The field lines are RF & LF-340' and CF-410'. 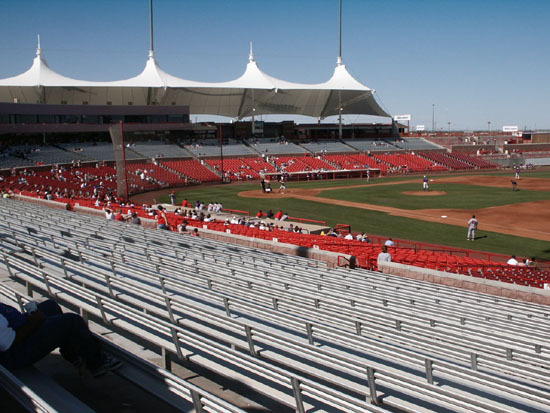 The lower sections are seats and the upper sections are bleachers with backs. 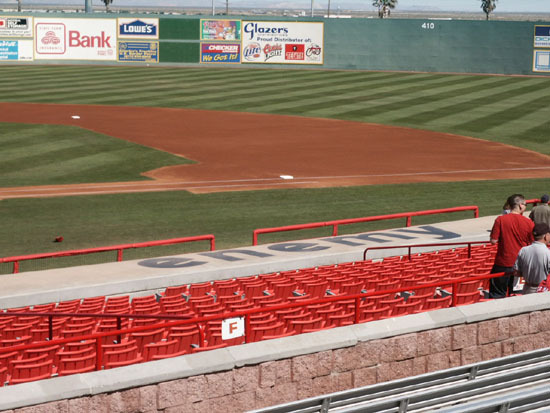 There is a tiered picnic section down the 3rd base line and a grass berm down the 1st base line. 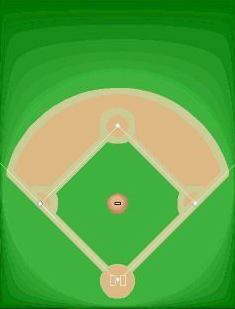 The bullpens are in front of each of these areas. 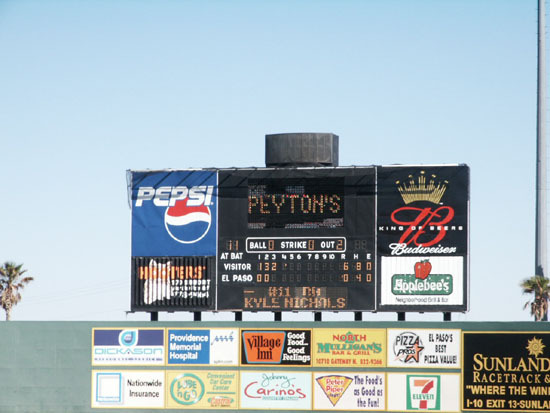 Temperature was 75 degrees throughout the game. 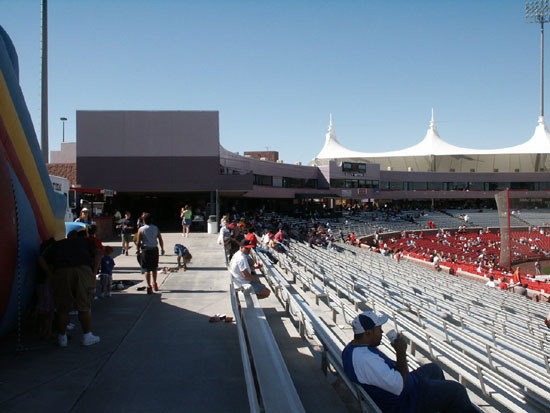 It was hot in the sun, but cool when the shade reached out seating area. 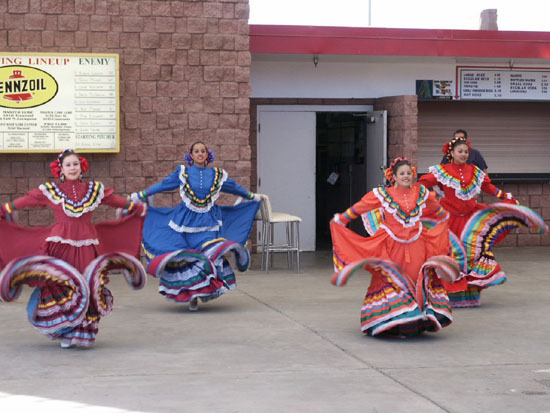 Before the game there were Mexican folk dances performed on the concourse. Very interesting to watch in their very colorful dresses. 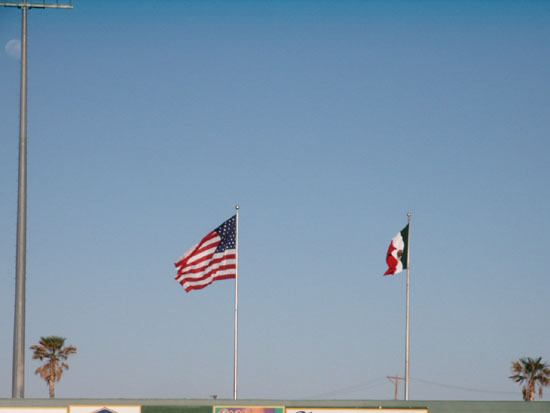 The American and Mexican flags were flown because of Cinco de Mayo. Today was $.25 hot dogs and boy, were a lot sold. Most were carrying plates of 4-6. 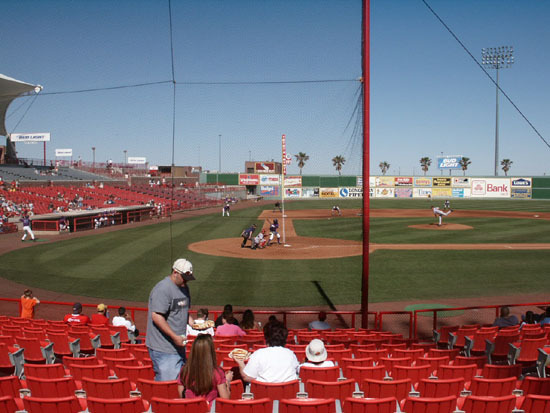 In El Paso the names of the teams were Sun Kings '62-'71 & '73, Sun Dodgers-'72, and Diablos '74-Present. The visitor dugout has the word Enemy on top. 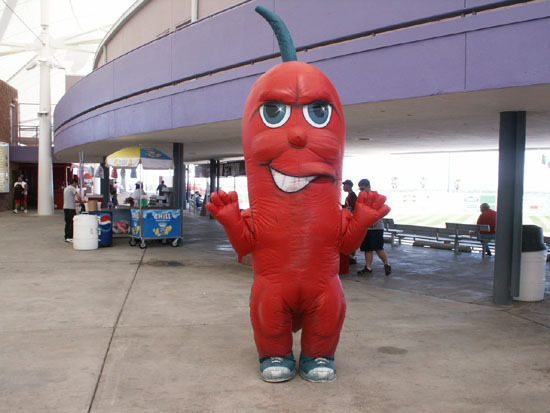 The main mascot is Chili D, the pepper, along with Casey the chicken, who has been around for 30 years, and Scoops the tiger. 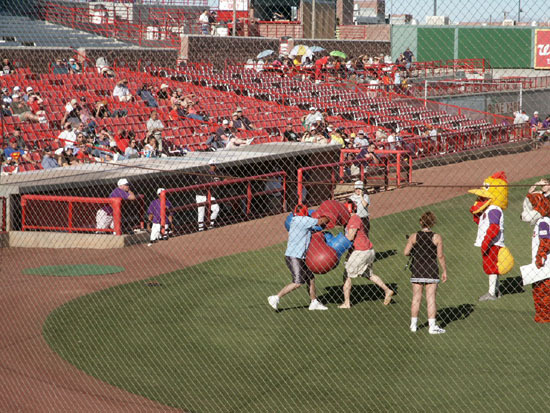 Between inning activity had two guys flaying away at each other with giant boxing gloves. The crowd then voted on who was the best fighter?. Attendance was 2,627. 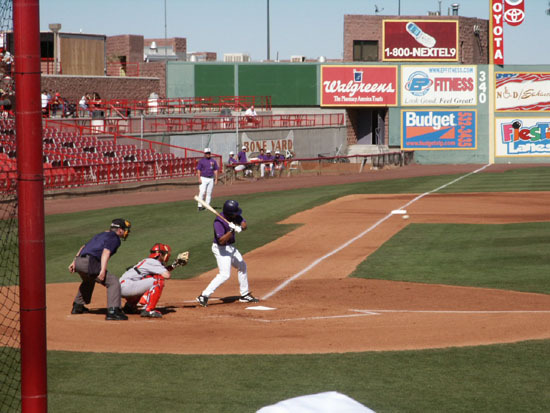 In 2005 the team moved to Springfield, MO and became the Cardinals. 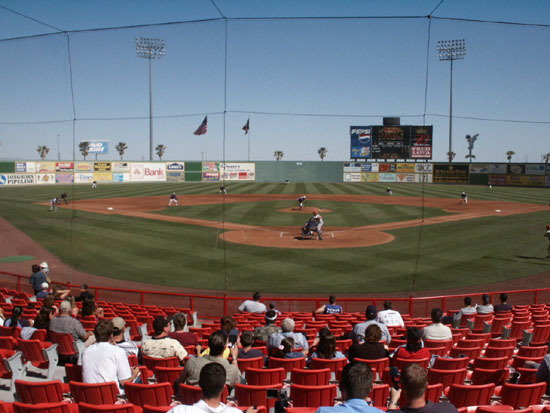 The El Paso Diablos of the American Association Independent League now plays here beginning in 2007. 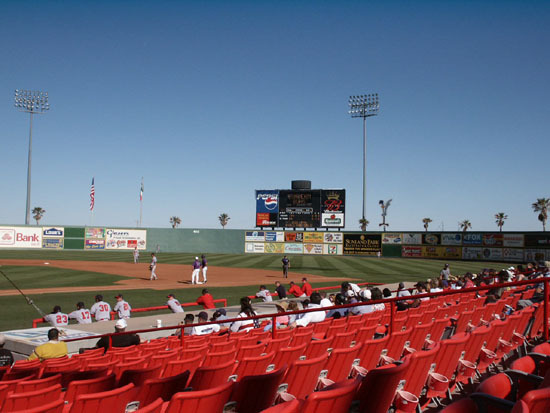 Diablos fold in 2014 when the AAA Chihuahuas come to town. 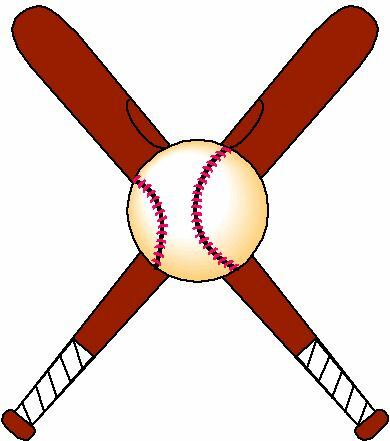 In 2015 the team moves to Joplin, MO and becomes the Joplin Blasters. 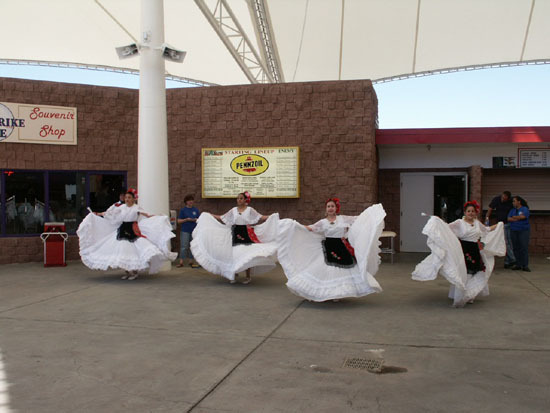 El Paso Centennial Museum - The museum of natural and cultural history features exhibits dealing with the archeology, botany, ethnology, geology, mammalogy, ornithology, and paleontology of the American Southwest and northern Mexico. Donations.